Enter your products into the Product Showcase! Are you doing everything possible to promote your new and top products, lines, or services to qualified seafood buyers? 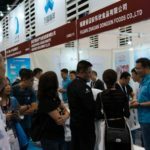 The Product Showcase at Seafood Expo Asia is an excellent way to introduce your new products to the market and/or highlight your best products industry-wide! This is the perfect forum for prospective buyers to preview your product(s) and find your stand on the expo floor. 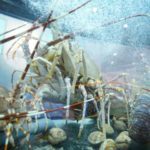 Don’t miss this engaging showcase at the next Seafood Expo Asia! A focal point on the expo floor, this special exhibit area will attract the attention and interest of buyers because of its engaging design, creative layout, information value and the variety of product displays! Product display – this is open to all exhibitors, one complimentary product for each exhibitor. There are no limits on the type of products to be displayed. We accepted whatever you wish to draw buyers’ attention, whether it is live, fresh, frozen, packaged items, ready to eat/cook etc. Additional entries after the first complimentary entry are US$200 each. For top of mind attention and to stand out from the crowd, you can also take advantage of poster display opportunities at US$350 each. How Product Showcase will benefit buyers? Buyers need information to help them with their purchase decision, the product showcase provides information that will enrich their knowledge, as well as an opportunity to visualize different product offerings. They get to study, compare and also be motivated to contact you at your booth for quotations and to place orders. 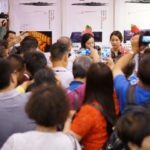 How Product showcase will benefit you, as an exhibitor? Exposure! And more exposure! Your first entry is FREE! We direct buyers to you, a tend card with your name, booth number will be displayed alongside with your product. All entered products will be displayed on the expo floor for the entire three-day event. Products must be “market ready,” meaning that buyers can place an order at the event if they wish to.